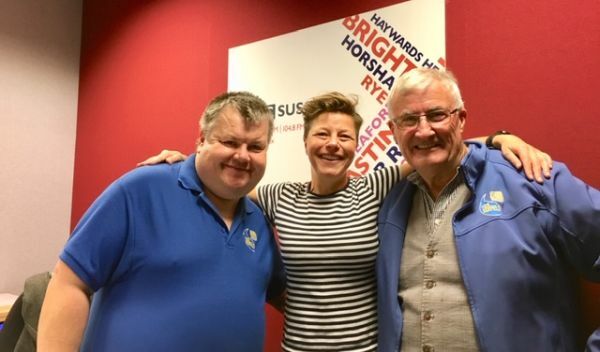 Uckfield FM presenters have appeared on a new radio show on BBC Sussex and Surrey. The new show, called ‘The Big Take Over’, is presented is by Kathy Caton and is broadcast every Monday 7pm and 9pm and ‘delves deeper into what is happening where you live’. It gave the opportunity for Uckfield FM’s Mike Skinner and Gary King airtime to talk about the station and events in and around the town. Events that were highlighted in the show – the Revival Classic car rally this weekend and an interview with AFC Uckfield Town chairman, Tom Parker about the build-up to the recent FA Cup match against Dartford.